Titles about a renowned British Columbia architect, an esteemed Haida artist and Vancouver’s iconic Stanley Park are featured. B.C. 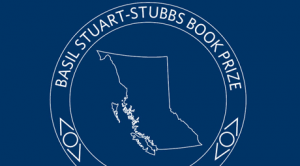 author Derek Hayes has won the inaugural Basil Stuart-Stubbs Prize for Outstanding Scholarly Book on British Columbia.